I am looking forward to a great day this Sunday. I hope to see you in your place and ready to receive what the Lord has for you. I also appreciate the kind words about the devotions in Psalms. It is my prayer that they encourage you as they do me. In the midst of all his troubles and trials, the Psalmist cries out to God. This is his first appeal, too many times we cry out to others instead of God. Human help will fail but God’s help is tried and proven. Before all other human considerations, we need to learn to cry out to God. Someone said, “Take your burden to the Lord.” I have never been able to figure out why some will suffer loss because they hold their troubles back from God. The more you take to Him, the less you will have to add to the burdens of others. Man is unjust and this world is filled with injustice. David recognized God’s perfect character and justice. He confessed that all his own righteousness was actually God’s. Many try to wrap themselves in their own virtue, only to find that it falls short. The Christian has something far beyond his own virtue; it is the infinite righteousness of God. David had a good memory of God’s faithfulness. He remembered all God’s past mercies. Those memories were filled with bright days of deliverance that caused the darkness of the present to flee. Now the Psalmist says, “have mercy upon me, and hear my prayer.” It makes no difference how just we may feel or how right our cause may be; there is much in our lives that needs to be forgiven. We must call on and rely on the mercy of God. There is never a time when we ought to demand justice! How wonderful it is to see the windows of Heaven open in the hour of our darkest need. The Christian life is a warfare and we need to be more acquainted with Heaven than with the things of this world. When we know God, we may be pressed, but never defeated. The storms of this life may break all human communication, but nothing can interrupt our communication with God. The sooner we cry to Him, the sooner we will receive the answer. This appeal of reserved for the saved and is controlled by the will and holiness of God. By grace we ask for help and He gives that help as He wills. We must live in a right relationship with Him and trust that he does all things well. We had another great day yesterday. It was highlighted by the sweet service last night. We are seeing God do some great things in our midst. Please continue to pray for our Church as we still have some needs. Summer is coming and our offerings seem to be dropping a little. Pray that God would meet all our needs and that our members would be faithful. Our devotions are about appealing to God. Would you spend time today appealing to Him on behalf of our Church? David knows and trusts God and he sees the efforts of his enemies as vain and fruitless. Because God had chosen him, he was not rejected. Because he had called on God, he was protected. He knew he belonged to God and his enemies were not just fighting him; they were fighting God. That is the same trust that the Christian has today. We belong to God and Christ lives in us. Those that set themselves against us are setting themselves against our God. This also applies to the Church. God has already spoken that the gates of Hell shall not prevail against it. Jesus loves the Church and gave Himself for it and those that fight against it are contending with God. Such rebellion is vain. The reference to the “Godly” here is simply one that loves God. It does not mean perfection of life, but rather the perfection of the heart. Even in the harshest battle, there is comfort for those that love God. He sets them apart and draws them to Himself. They Need To Consider Their Opposition: While they are lying in their beds, in the stillness of the night, they need to take thought of God. When we do not reflect on the awesome greatness of God, we are in great danger. In a world where there is very little real goodness, we can trust in our Good God. When we rest in His goodness, we will be content, and blessed. Within all men is a great void and discontent, they want something that they never seem to be able to obtain – GOODNESS! They are seeking the cure for the evil that seems to be overwhelming them. When a sinful man asks this question, it is not a question for which he expects an answer; it is a question that expresses his utter hopelessness. Most people today have lost hope in ever experiencing anything truly good. Satisfaction is an unattainable goal for most. It Is A Spiritual Answer - The world is making a futile effort to find goodness in itself. Most people spend all of their life in a fruitless search that can only be found in God. In failure and bitterness they cry out over and over, “Who will show me anything good?” They run in vain after everything that promises an answer. It Is A Sufficient Answer - Nothing can do what God can do! Wonderful things have come from people who do not know God; we are enjoying many benefits of medicine and technology from the minds of those that know nothing of the goodness of God. But that can never answer the most piercing questions of man and satisfy the deep longing of his soul. And that gives us every other good thing. The Bible says that EVERY good gift comes from above. God is enough without creation, but creation is not anything without Him. If every material good were taken from us, God could still come into our soul and fill it with indescribable delight. The joy of the Lord is infinitely greater that anything this world has to offer. There is as much difference in the goodness of God and the goodness of the world as there is in the difference in a royal banquet that we actually enjoy and one painted on a billboard. 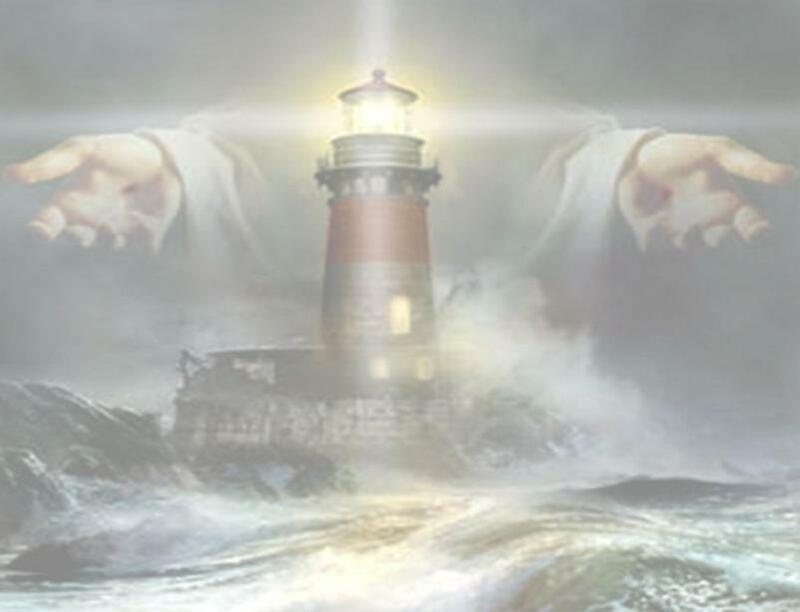 While the storms of this life rage and those without God cry in fear, God giveth His beloved sleep. We know something that others cannot know; we are safe in Him!